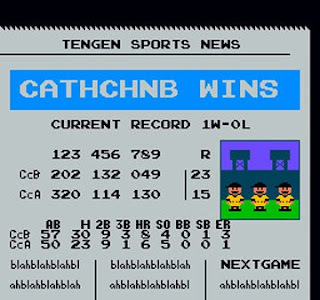 catholicguyshow.blogspot.com: RBI Baseball, Catholic Channel style! 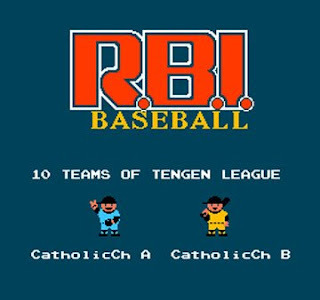 RBI Baseball, Catholic Channel style! Sometimes, you ponder the big questions in life. "Will I ever get married?" "What is God's purpose in my life?" "Could Lino Rulli crack a home run off of Gus Loyd?" While I don't have the answer to the first two, I was able to find out the answer to that third one. 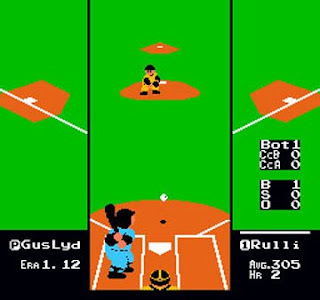 Thanks to a fellow named Nightwulf, I was able to add two teams to the NES classic game RBI Baseball. This isn't for show...this is an actual playable version of RBI baseball, with vastly different rosters. It's the closest The Catholic Channel will get to having it's own video game. I present to you, Catholic Channel A, and Catholic Channel B. The teams are divided up between past and present Catholic Channel personalities, Catholicguyshow.com bloggers, and a random caller or two. Heck, here are the starting lineups and pinch hitters! 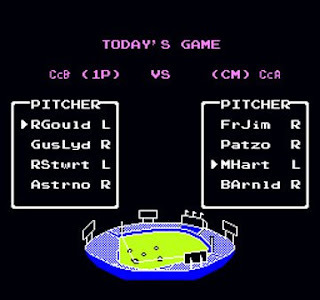 The rest of the games 1986 and 1987 rosters are left intact, so if you want to do things right and let the Red Sox beat the Mets in every single game, go for it. But if you'd like some intramural Sirius action going, choosing those teams will do just that. Helpful hints for you though, myself and Adam "Hammer" Hamway have the greatest chance of hitting home runs for our respective teams. Rulli has a solid bat, Ruggieri might be the best all-around player, and don't discount the speed of pinch-hitter Father Harry. I decided to play a little game, just to see what happened. After years of playing this gem of a game, it was easy to get the hang of it. Most fun was this matchup. While Rulli grounded out against Gus the first try, later in the game the result was dramatically different. However, Rulli's team would not triumph, as the A team got stomped by the B team, 23-15. Yours truly had a hand in that, cracking a grand slam in the top of the 9th off of closer Bill Arnold. Adam "Hammer" Hamway had a big day for the A squad, knocking in three RBI on two home runs. Even Catholic Guy show phone answerer Christine Loyd got into the act, hitting a solo home run as well. Truly a fun experience. 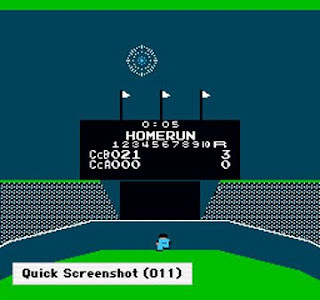 Hopefully those of you with fond memories of this great baseball game will download it and play as well. Here's what you need to play the game. It takes a few minutes, but it is extremely simple to do. All links and files are virus free! 2a. If you have Windows 98, 2000, ME, and XP, you can download Nestopia, an NES emulator needed to play the rom, here. Install the emulator, open the ROM file that you downloaded, and off you go! This entry was posted in Christine Loyd,Father Harry,Gus Loyd,Lino Rulli,Lou,RBI Baseball,The Catholic Channel. Bookmark the permalink. 3 Responses to RBI Baseball, Catholic Channel style! DOUG - You beat me to that comment! At my batting average is better than Father Harry's! God Bless him, but I'm convinced the man doesn't know where he is half the time.